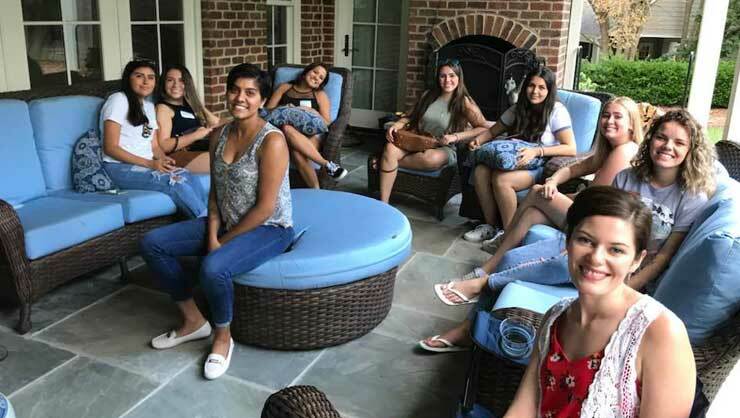 Au pairs in North Carolina gathered for a backyard cookout. 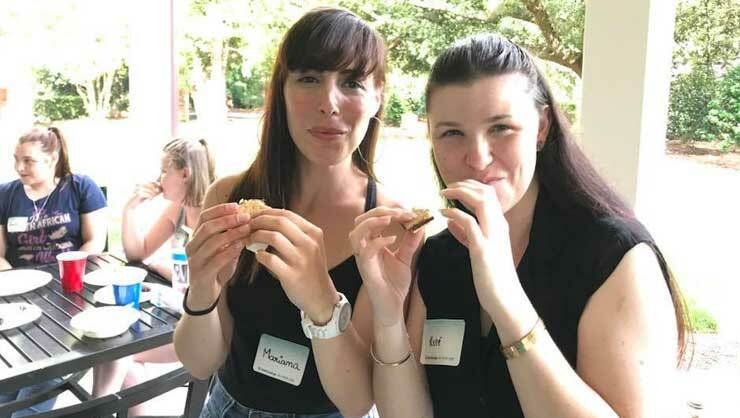 Au pairs in the Raleigh, NC area recently hosted a traditional South African ‘braai’, similar to an American barbeque, for their monthly cluster meeting. Local Coordinator Suzanne Miller told us all about it. Local Coordinator Mary Beth Grealey and I had a joint cluster meeting to celebrate a South African braai. 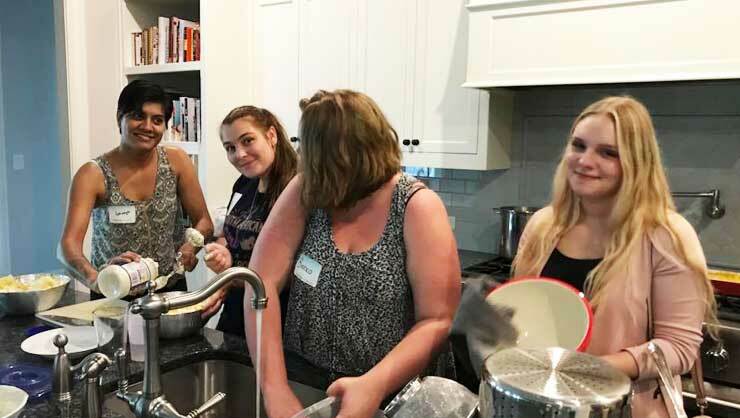 Our South African au pairs coordinated it, made the sides, and taught us about the importance of the meat and fellowship at the event. 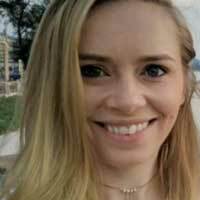 All of the au pairs helped put together the event. 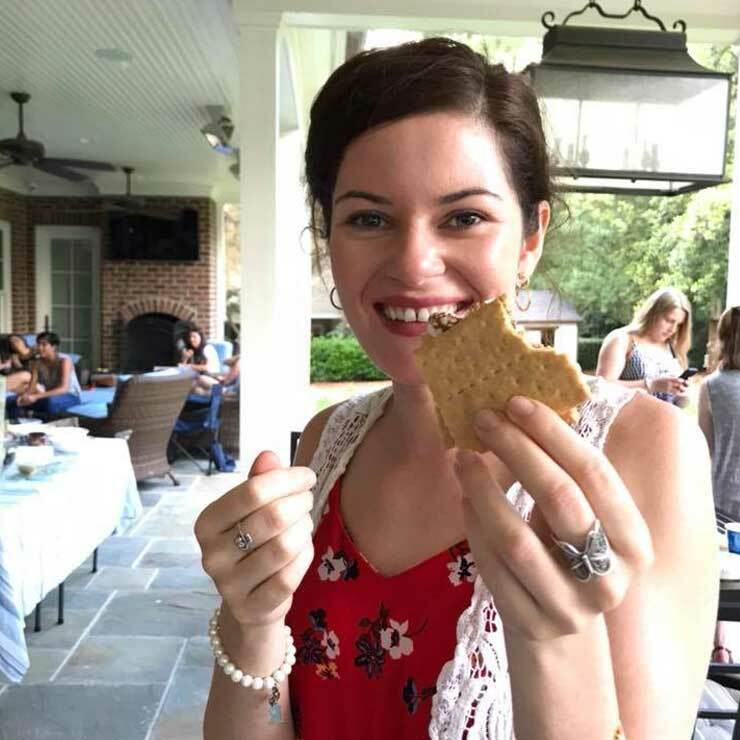 The Chapel Hill cluster provided appetizers and the Raleigh au pairs provided dessert. We finished the night off with American s’mores! One of our Raleigh host families hosted it at their home and served as the braai master. It was a great evening. 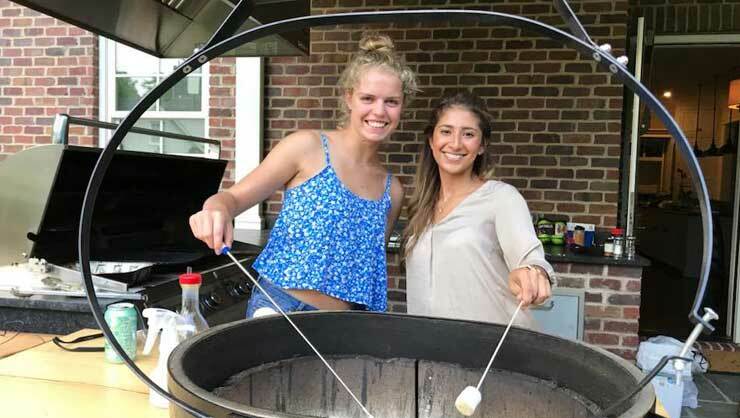 To learn more of the traditions around a braai, we turned to South African au pair Bianca who helped to host the event. The word braaivleis is Afrikaans for roasted meat. The word braai (pronounced bry, rhyming with the word cry) is Afrikaans for barbecue or roast and is a social custom in South Africa. What makes a South African braai so different? You must follow the rules. Yes, there are rules! 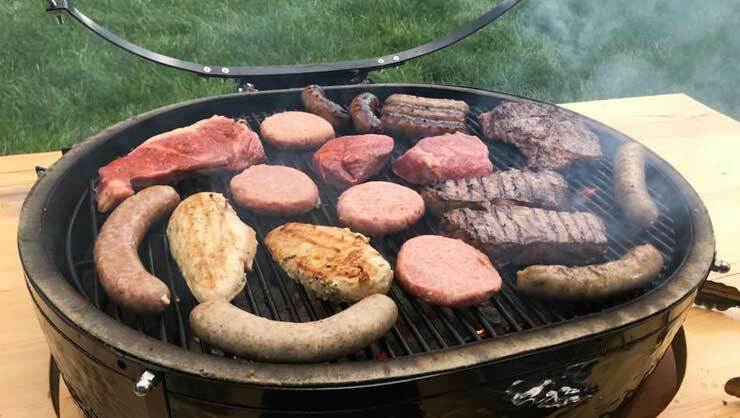 First of all, when you are invited to a braai you are often expected to bring your own meat and drinks, but not always. You will be advised of this beforehand. In other words, it is like a ‘potluck’, or ‘bring and braai’. Then there is the braai master. He is the only one who starts the fire, takes care of the fire and will decide when the fire is ready to cook that perfect steak. Nobody will interfere with the braai master unless asked by the braai master themself, which in most cases is a request to bring him, or her, another drink. This is the most important rule. It can also be agreed that you will be able to braai your own meat on the braai master’s fire but only after the fire has been declared ready by him. At a braai, it’s all about the meat. South Africans love their meat. One item that will always be present at a braai is a good roll of boerewors (farmer’s sausage in English). The meat at the braai. Each farm or butchery makes its own boerewors, with its own spices and flavors. And they all taste different. Most boerewors are made from beef. Apart from the boerewors, there will also be Karoo lamb chops, pork chops or a nice large piece of steak. A South African braai does not always have many side dishes, sometimes a green or potato salad. What will mostly be present is either a loaf of garlic bread or braaibroodjies, which are toasted sandwiches, grilled on the braai, with tomato, cheese, onion and chutney inside. No other country in the world has its own public national holiday dedicated to a braai. In fact, Braai Day is organized on Heritage Day, which is the day when South Africans celebrate their culture and the diversity of their beliefs and traditions. It takes place on the 24th of September. One of the best parts of the au pair program is making new friends. On Braai Day, South Africans meet up with good friends and family, sit around the fire and commemorate their heritage together while waving the South African flag. 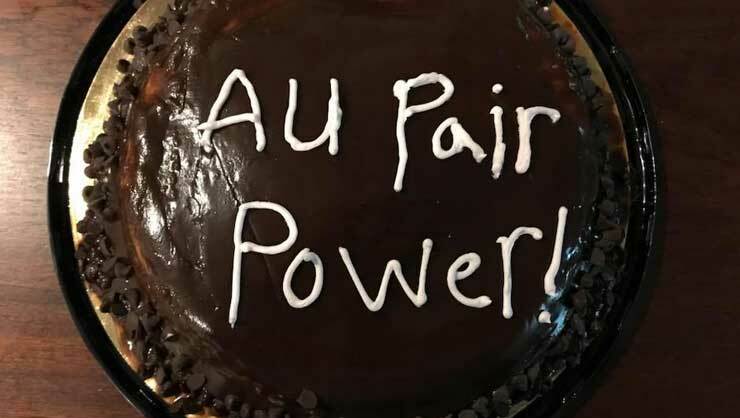 What's sweeter than an au pair cake? Looks like the perfect way to spend a summer evening!